Hello! Welcome to the For the Love of Creating Blog Hop! 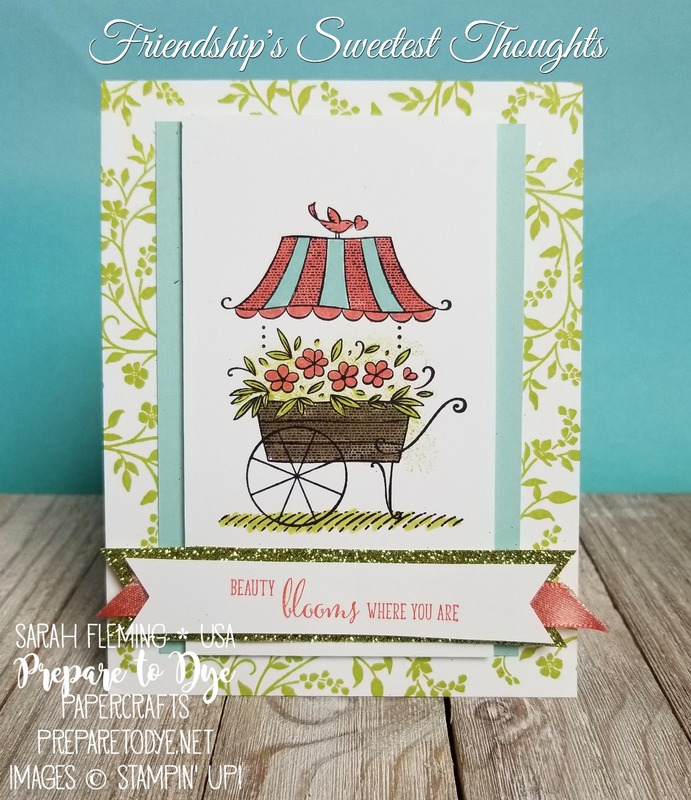 This is a new quarterly blog hop that will focus on highlighting the latest and greatest Stampin’ Up! products. So thanks for stopping by today. 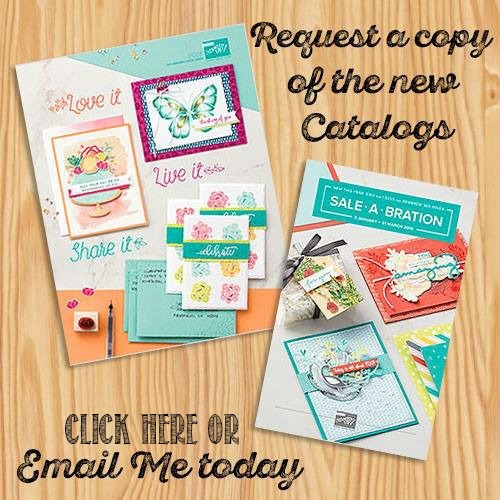 I hope you’ll jump all the way through the hop and see all the amazing projects that the designers have come up with using new Occasions catalog and Sale-A-Bration products. This is an insanely talented team, so you won’t want to miss anyone’s blog. Currently you’re visiting Sarah Fleming in the USA. My first card is a card I made for a recent swap with other demonstrators. 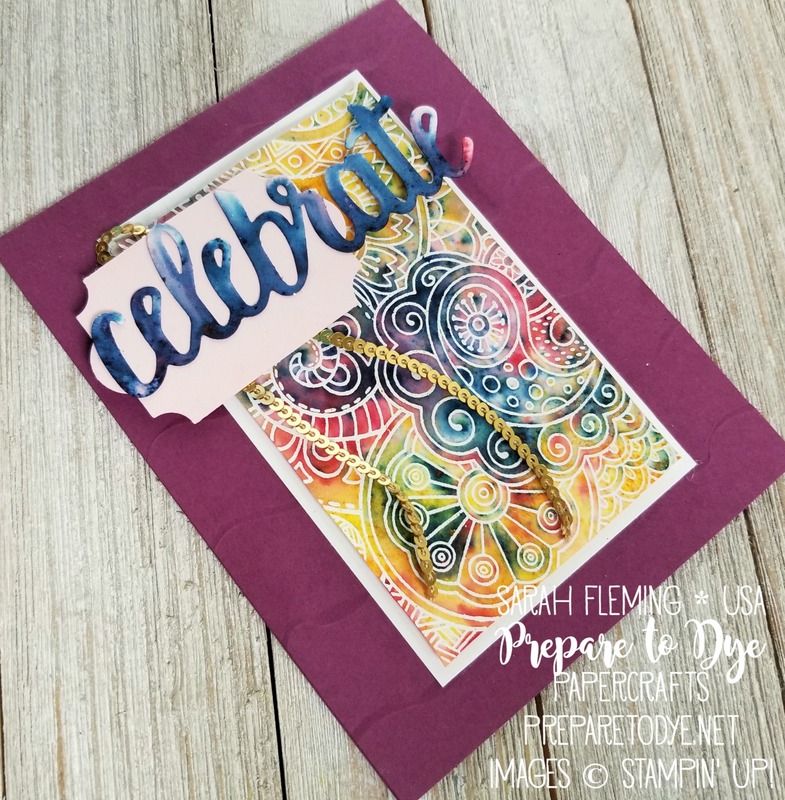 The background is stamped with a floral flourish from the Hold On to Hope stamp set. 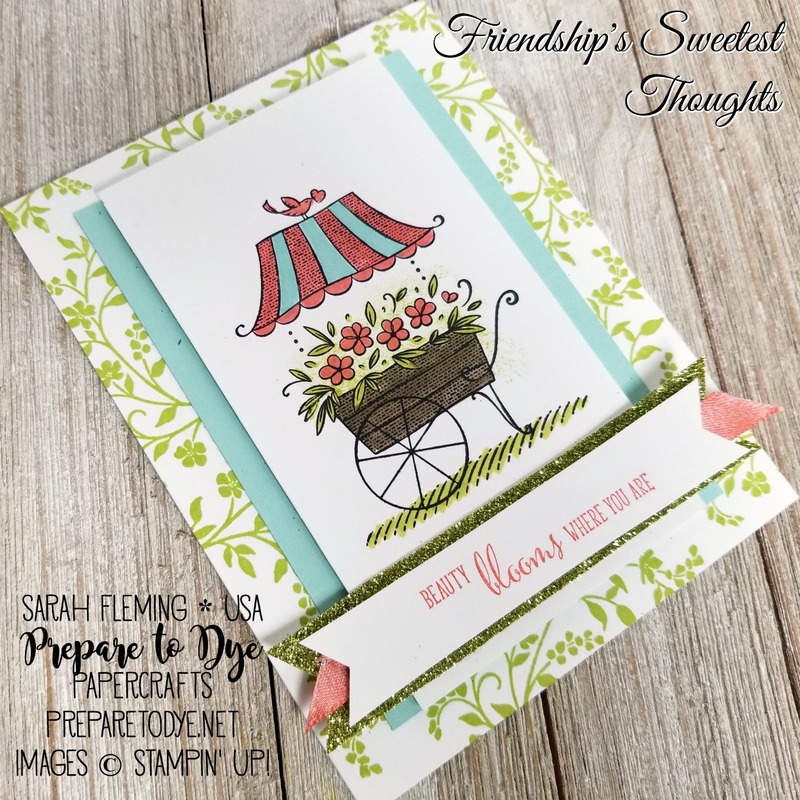 The flower cart comes from Friendship’s Sweetest Thoughts, and I colored it with Stampin’ Write Markers. I also sponged Lemon-Lime Twist around the flowers before I colored them in. The sentiment is from Friendship’s Sweetest Thoughts. What a sweet message to send to a friend! The ribbon is FREE Sale-A-Bration ribbon (with $50 order), and the glimmer paper is from the Myths & Magic Glimmer Paper. One thing about gluing things down on top of Glimmer Paper — you need to use hot glue or the Fine Tip Glue Pen or the Multipurpose Liquid Glue and allow a long drying time. What I did for the swap cards was I put the Glimmer Paper banner underneath the flower cart layer, then attached the ribbon and sentiment on top of the flower cart layer. That takes a lot less time! My second card is in a completely different direction and a different style. I can never settle on my own personal style, because I love them all. I heat embossed the Hello Color stamp from the Annual Catalog, then sprinkled Brusho Crystals on top of the embossed area, then spritzed. I used Prussian Blue, Brilliant Red, and Yellow. Look how many wonderful colors and shades you can get from a few sprinkles and a quick spritzing! Brusho is one of my very favorite products from the new Occasions Catalog. The “celebrate” sentiment is die cut from Shimmery White cardstock using the Celebrate You thinlits (free with $100 purchase during Sale-A-Bration). After I cut it out, I sprinkled on Prussian Blue and Brilliant Red Brusho crystals, then spritzed the die cut. And this is how it turned out! I love that you never know what you will get with Brusho. Thank you for hopping through today! Make sure to visit every blog in the hop!